Pizza is awesome and in my opinion a necessity of life. It’s almost like a comfort food for the soul with a fair bit of toppings. Everyone loves pizza! However, pizza can also be very high in calories and thus today we want to attempt to enjoy what we love without gaining what we don’t like (Hint: Fats). There are 4 main areas that makes a pizza, a pizza. They are the base, the sauce, the ingredients and the cheese. Normal pizza base are easily super high in calories by themselves because of the amount of bread and oil used to make them. Adding cheese into the equation, these 2 parts of the pizza would easily burst your calorie wallet. Thankfully, if you’re trying to lose weight, all hope is not gone! 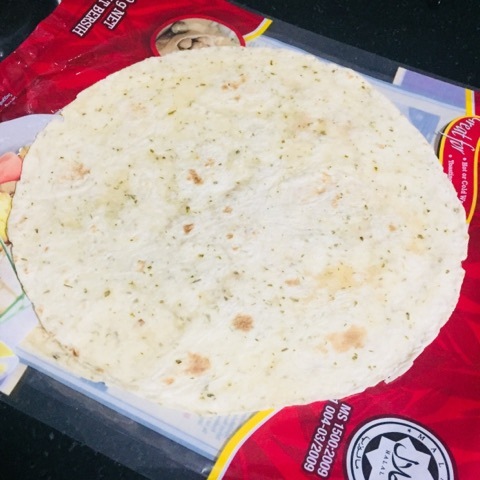 Because of the sheer reduction of ingredients required to make wraps, these circular platform become some of the best replacements for pizza base without all the calories from the carbohydrates and fats. This also means that you’re eating lesser calories yay! As with the rest of the pizza factors, how much calorie we add on depends on what we choose to put. The healthiest choice one usually can stick to with a pizza is to go with a tomato sauce base. We can also boost our pizza a little bit to help us manage our weight by choosing ingredients that fits into our goals. 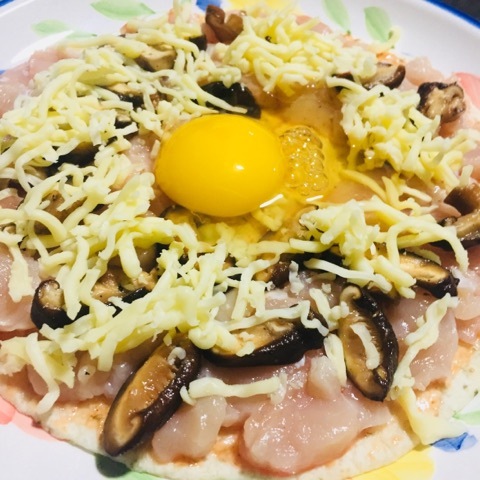 For example, I want to build some muscle without gaining too much fats, so I’ll choose to fill my pizza with more protein based food like chicken or beef. To enhance the taste, I’ll also add mushrooms and finish off with an egg in the middle. Unfortunately with cheese, the only control we have is the volume of cheese placed on our pizza. That said, if you’re following this recipe, you would have already sliced the amount of calories you’re eating by at least 1/3!! That’s 1/3 closer to your weight loss goal hurray! Place the pizza in the oven for 20-25 mins at 200°C and the pizza will be ready to eat once it’s cooked. 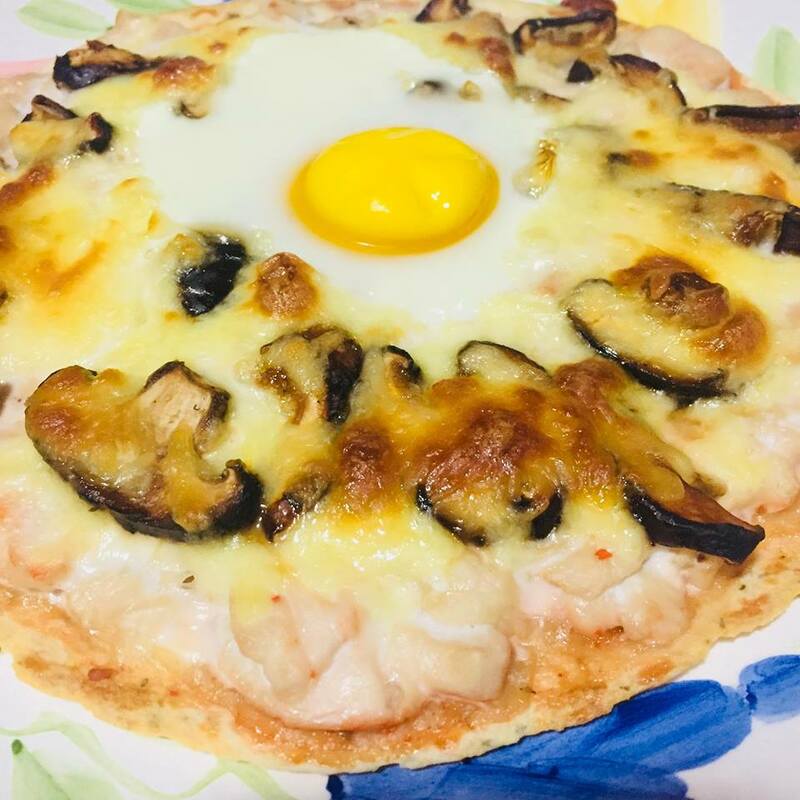 Most of the pizza ingredients were cooked within 10-15 mins so you can shorten the cooking time for the pizza by not adding the egg, or by adding a sunny side up egg instead of a raw egg when you’re performing the preparation phase of the pizza.